Magpie Quilts: Quilts made from Metal? 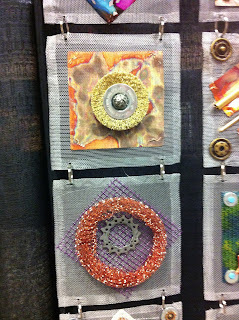 Is it really a quilt if it doesn't have fabric? You be the judge! 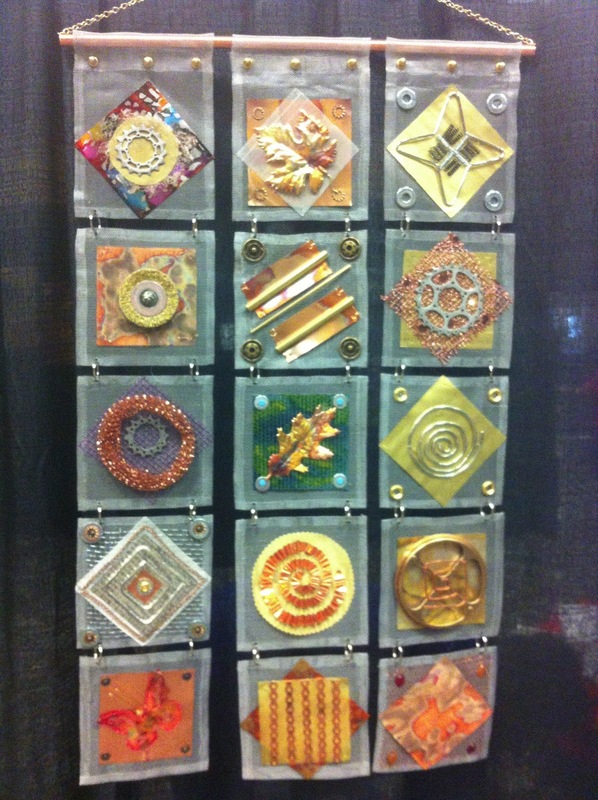 Quilt Artist Karen Jurek from Cochrane, Alberta had this metal "quilt" displayed at Quilt BC last week. 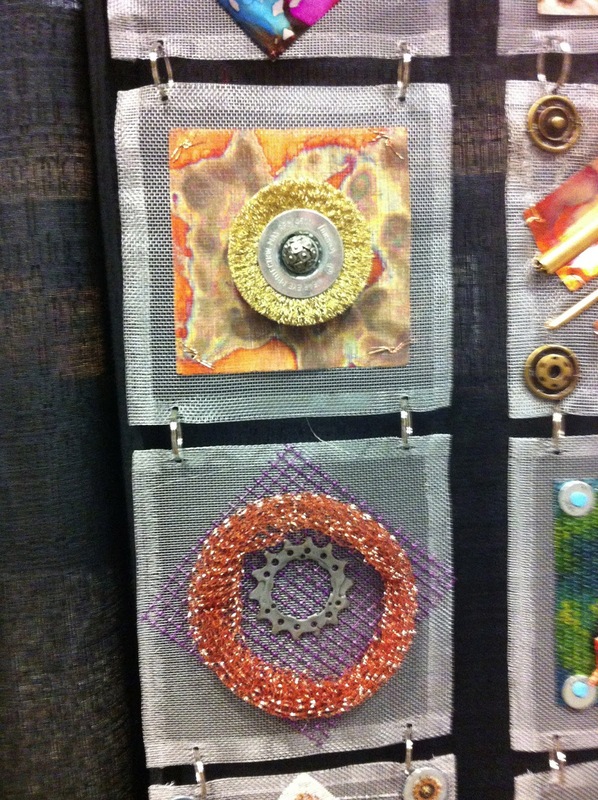 She created this metal art piece and it really has 3 layers, it's tied in places with metal wire and quilted in others with metallic thread. 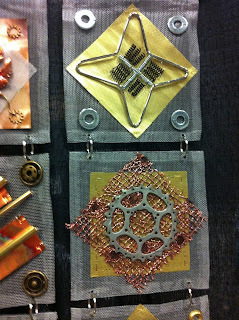 Take a close look and see the common household items Karen has used to make this unique art piece! 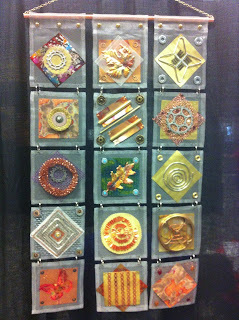 Not sure if I'm going to run out and raid my husband's shop of spare parts quite yet, but I enjoyed this metal quilt!